During the Second World War Sweden was a neutral country with a relatively stong pro-Allied sentiment. The last major fighting Sweden took part in was during the Napoleonic Wars. When the Soviet Union invaded Finland in 1939 though, at least 10,000 men volunteered for service with the Finnish forces to fight against the Soviets. This number is especially significant because there were approximately 6.5 million people living in all of Sweden at the time. Sweden and Finland are both Northern European countries and had much in common, therefore, when the Soviets invaded, many Swedes felt compelled to join the Finnish Forces. Because Sweden was a strict neutral during WWII, other than during the short experience of the Winter War in 1939, it did not openly allow for recruitment into foreign armies. When Germany invaded the Soviet Union in 1941 its sentiments changed very little, although the Finns were allowed to garner volunteers once again. Approximately 1,500 Swedes volunteers for service with Finland between 1941 and 1944. Before Germany invaded the Soviet Union, very few if any Swedes served with the Germans, although at least one Swedish volunteer was listed as serving with the 5.SS-Panzer-Division Wiking. When Germany invaded the Soviet Union, Swedish volunteers for the German Wehrmacht were gathered either through the German Legation in Stockholm or throught the Auslands Organization, both via Norway. Swedish approval of recruiment was still not offical after the invasion of the Soviet Union though, and the volunteer operations were very much clandestine affairs. In total between 130 and 300 Swedes are thought to have served in the German Wehrmacht. David Littlejohn lists the number of Swedish volunteers at 130 in volume 3 of "Foreign Legions of the Third Reich", 150 volunteers are listed according to Swiss Dr. Franz Riedweg - the head of Germanic Volunteer recruiting, 175 volunteers are listed by H. Picker in "Hitler's Table Talk", and 315 volunteers are listed by Gottlob Berger in an unpublished biography. 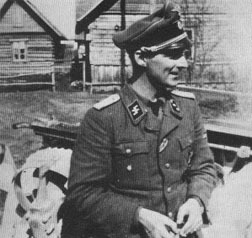 300 is the generally accepted number of volunteers in the German Wehrmacht, but approximately 30 to 45 Swedes were killed in WWII under Axis control with 130 Swedish volunteers surviving the war, according to Lennert Westberg, which would therefore place the actual number of volunteers at about 175. 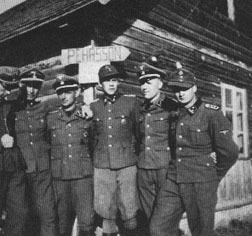 11 Swedes are said to have gone to the SS Officers school at Bad-Tolz, and Swedes also are known to have fought in the Battle of Berlin in April of 1945 while serving in the Nordland Division. The vast majority of Swedes served in the ranks of the Waffen-SS, but never in a national unit or legion like many other ethnic groups. 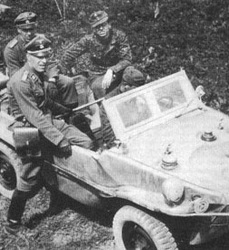 Most Swedes were scatterd within different Waffen-SS units and formations. The 5.SS-Panzer-Division Wiking, 11.SS-Panzergrenadier-Freiwilligen-Division Nordland, and the 23.SS-Freiwilligen-Panzergrenadier-Division Nederland are all known to have had Swedes in their ranks. At least one small unit, Panzergrenadier-Kompanie 3 - Panzer-Aufkläkrung-Abteilung 11 - 11.SS-Freiwilligen-Panzergrenadier-Division Nordland, (3rd Company of the Armored Recon Battalion of the 11th SS Volunteer Armored Infantry Division Nordland), was composed of a large number of Swedes. 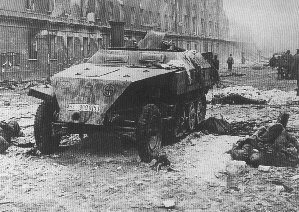 In fact, Panzergrenadier-Komapanie 3 was given the title Swedenzug as a result of the number of Swedes in its ranks. 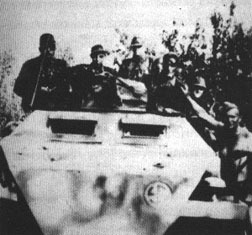 The Swedish volunteers served in the 4.Zug of Panzergrenadier-Kompanie 3.